It was brought to my attention that I hadn't properly thanked all the wonderful people who helped me with the Holiday Shop Hop that's taking place here on my blog tomorrow and Sunday, so I wanted to take this opportunity to do so! First and foremost, to everyone who’s blindly jumped in to participate and make this little shop hop a fun event this weekend. Thank you so VERY much! You’ve tweeted, you’ve facebooked, you’ve blogged, and talked, and emailed and shared the information for the Holiday Shop Hop with so many people and it will be thanks to all of your brilliant efforts when it’s a success! Next I’ve got a little “private list” of peeps that have listened to my long, drawn out and rambling emails (You know who you are!!) and who’ve also offered countless suggestions and were there when this was just an inkling and I had no idea what the heck I even wanted to do to help get traffic to people's shops and to help get people to shop handmade, small business and “local” (in their jammies, in their own house!) this gift giving season! Thank you!! Lori Anderson – Lori’s listened to many of my rambling emails, gave suggestions and offered help despite her own very cool and successful Virtual Craft Fair she’s got going on this entire week over on her blog, Pretty Things! Thank you so much Lori, your suggestions, offers of help and ear for listening are greatly appreciated and deeply valued! Lisa Crone: Lisa got blind-sided as I asked a ton of her one night via email. She had such a full schedule and still said to me “As soon as I’m free, I’ll help out”. So, when she finished, I said “Oh, thanks, but I’ve got it under control”. How rude of me – not on purpose, but still - rude of me none-the-less! And, being the gracious one she is, she still helped out! What a class act! Thank you so much for your support and help! Regina Santerre: Regina was one of the first one’s to step in and say “Count me in!” and she’s also the one who came up with the actual name “Holiday Shop Hop” – it was her suggestions vs. whatever the long, drawn out and wordy thing I was trying to use was! J Thanks a bunch Regina – I think the name rocks!! Mary Anne Flesch: Mary Anne jumped in for the Shop Hop and then she took my little “Snowman Button” and “fixed” him! Yep, she took the yellow out and made him look all pretty and white like a snowman should! Yeah!! And then, of course, I messed it up again,….what’s new?!! L But, Thank You Mary Anne! You took your time and effort to help me and I appreciate it so much!! And, if I do this next year,…I’ll make sure I use the Snowman you fixed!! THANK YOU everyone! 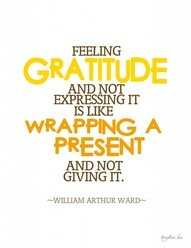 I really am grateful. 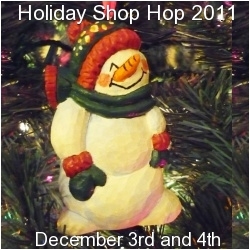 Peace, Love and Here’s to a Successful Holiday Shop Hop This Weekend for Everyone! Shel, this is so sweet of you. Happy to be of help. Having some fun is what it's all about, the rest will be icing on the cake. Thank you for putting in the time and the brain power to get this all together. I know it will be a fun weekend, getting to know some new folks and shopping too! Wishing you a great weekend. P.S. I am coming back for the unpeed on Snowman. Too funny Regina!! But doesn't he kinda resemble a 'yellow-ish' snowman? My bad!! It was the lighting!! 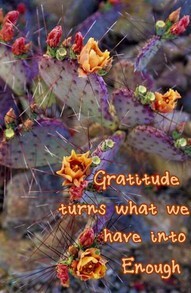 http://designsbysusan-dbs.blogspot.com/ and www.facebook.com/designsbysusan. Hope to see you!